WILLEMSTAD - The Multidisciplinary Project Team (MDPT), that is in charge of negotiation the future of the oil refinery in Curaçao, will be dissolved. 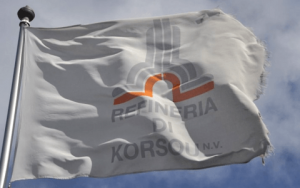 Refineria di Korsou (RdK), the owner of the refinery is now in charge of the process of looking for a new operator for the refinery. That is what the government of Prime Minister Eugene Rhuggenaath decided. The reason is the enormous waste of public funds by the MDPT under the former Chairman Werner Wiels. Wiels was appointed by former Prime Minister Ivar Asjes. He got the unrestricted freedom to act from the former prime minister and did not have to account to anyone. This information came to light after the government accountant’s bureau (SOAB) published its audit report. According to the SOAB report, 18 million guilders was wasted by corruption and nepotism. The public prosecutor is investigating criminal offenses.